Saw this in a well known supplement shop the other day. Used as an anxiety relief medicine. Fascinating! Beautiful. I think we may have this somewhere!! Awww great Karen, I remember you saying you took it with you when you moved. I like this, it fascinates me how it takes on a new form when it flowers and looks all gnawled. Yes, I agree...its a fascinating plant. It loves it up here Dawn! 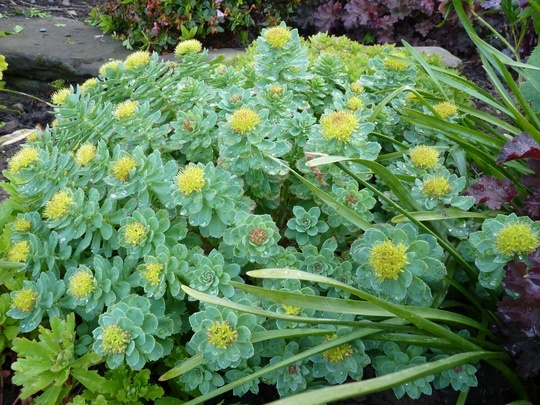 See who else is growing Rhodiola rosea (Kingscrown). See who else has plants in genus Rhodiola.